z5 is planned upgrade to Nougat,Will z5 dual also getting the same update? I was disappointed to use this smartphone because it always restart its own self and I have to fix it but still experienced the same thing. i'm so tired with this smartphone. 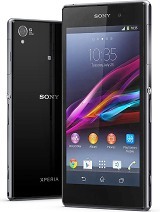 I just wanna ask about the new update of sony z5 dual? I noticed that Sony decreased the battery juice on their newer models. One would think they would provide at least 3000 mAh battery for the new ones. AnonD-592717, 05 Oct 2016which is batter phone to me buy (display,camera and main battery life) huawei p9 lumia 950 ... moreZ5 it's water resistance and have all premium features available!!! Good Camera, Stereo Speakers, Great Design, etc. Amr, 12 Aug 2016If you want functional dual sim, good networking ability when you travel, good camera at night... morelike what ??? 7 months used, it is great, nothing to complain about , battery last longer than iPhone 6s plus with stamina mode enabled. The stamina mode is extremely helpful when u are day out for whole day without a powerbank with u. From my opinion it is better than xperia x. I prefer dual sim than hybrid sim so that i wont need to keep remove my 2nd sim all the time. Just that the touch screen will go crazy when u dip it into swimming pools. 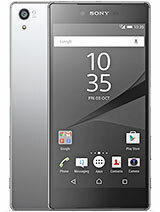 I had that problem on xperia z3c as well. 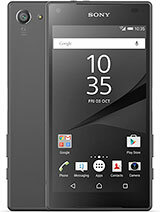 is there anyone can answer me here.. where can i buy this xperia z5 e6653 single sim version in saudi arabia? i look all the store but they only selling dual sim version.. pls help..